Barbour Calf Length Wellington Sock. These Barbour socks have terry looped construction throughout. High nylon content for extra durability. 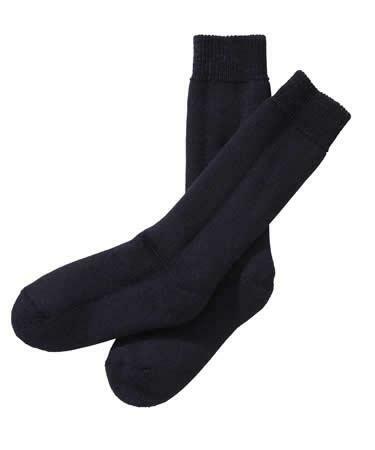 68% wool, 31% nylon, 1% Elastane. Leg length 10 inches (25cm). A nice sock for people who suffer from hot feel in wellington boots. Make you choice of size and colour (navy, earth brown or olivine) using the pull down menus below.